Empress Wan can launch a thousand ships with her charm and fight a hundred soldiers with her sword. But something is lacking in her life and she harbours forbidden desires for her stepson Prince Wu Luan , an introverted young man, who shies away from the palace to indulge in the ancient art of music and dance. When the Emperor dies all of a sudden and his younger brother Li takes over the throne, Wan shocks everyone by agreeing to marry Li. But Li is no fool, oblivious to Wan, he has dispatched his guards to kill his nephew. After warding off the assassination attempt in a ferocious fight scene, Wu Luan determines to return to the palace and revenge himself by killing his uncle. No sooner has Wu Luan returned to the palace than he finds himself trapped in a double love triangle: on the one hand, there is Wan, on the other, Qing Nu, the daughter of the conniving Grand Marshall. When Emperor Li proclaims that a big banquet will be held for his ministers, Wu Luan realizes it is the time to strike. 907 AD, the Tang Dynasty in China. The movie is set in an empire in chaos. The Emperor, the Empress, the Crown Prince, the Minister and the General all have their own enemies. 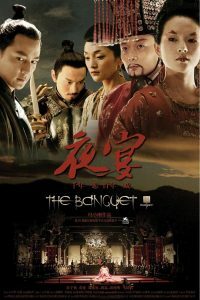 The Banquet, released on DVD in the United States as Legend of the Black Scorpion, is a 2006 Chinese wuxia drama film. The film was directed by Feng Xiaogang and stars Zhang Ziyi, Ge You, Daniel Wu and Zhou Xun. It is a loose adaption of William Shakespeare’s tragedy Hamlet and Henrik Ibsen’s play Ghosts, featuring themes of revenge and fate. It is set in the Five Dynasties and Ten Kingdoms period in 10th century China. 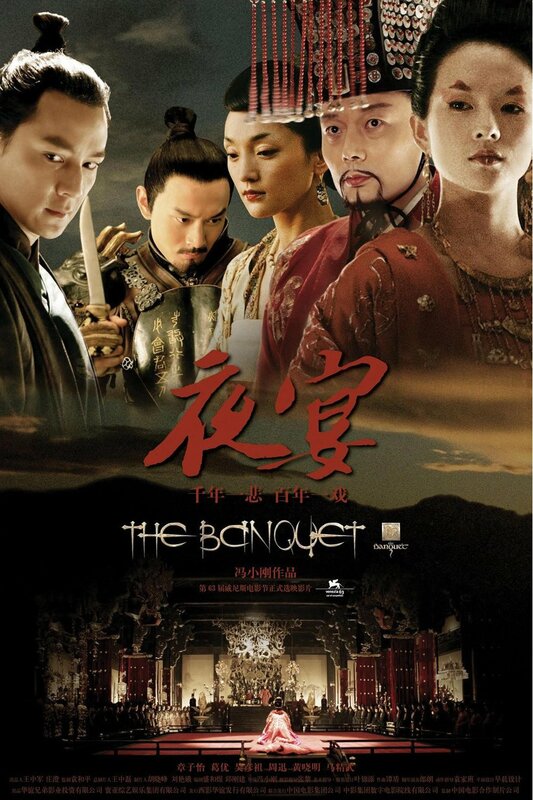 Gazing back upon our journey with Ye yan (The Banquet),I can say I am satisfied with our opus in at least these four respects: focus, dialogue, acting and spirit. Ye yan has dodged the peril of spreading the audience’s attention over countless details. Instead, the film’s intricate combination of cinematic elements (whether they be performance, costume design, lighting or action) has concentrated the focus on the development of the plot and the powerful shifts in the characters’ emotions and relationships. One of the challenges we faced in the beginning of our voyage was the dialogue. 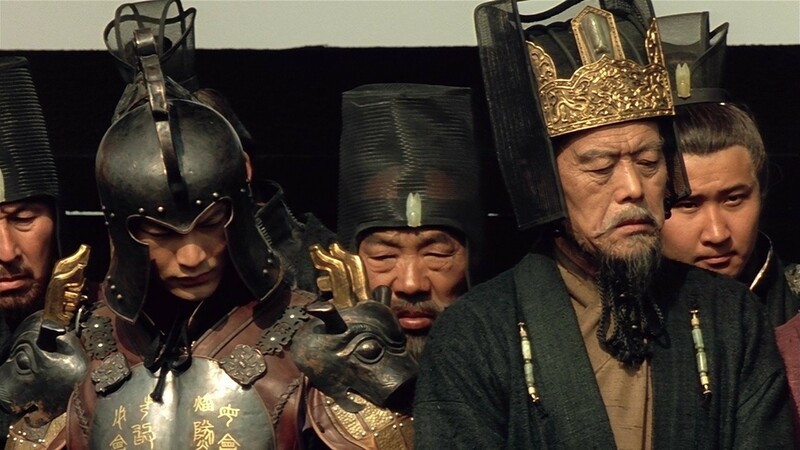 The film takes place in the Tang dynasty. How were we to translate this ancient setting into an elegant yet sufficiently modern language? Would the sentences be long or short? Sheng Heyu decided to write the script in short, sharp sentences that concentrate the strength of their meaning and let no word go to waste. 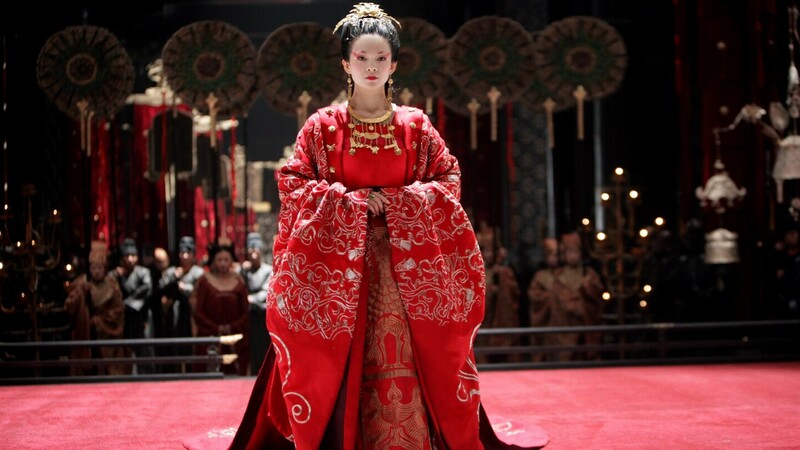 Zhang Ziyi’s character, the Empress Wan, is the fulcrum of the film’s drama. Her emotional surges and calculated blows provoke the movement, friction and outbursts of the plot. The performance of the Empress required a deep understanding of human relationships and a constant adaptation to her emotional environment. Despite her young age, Zhang Ziyi rose to the challenge and provided an awe-inspiring interpretation. I believe Ye yan has illuminated an unknown face of classical China. It shies away from recent Chinese films and their tendency towards excessive colours and baroque set-design. I hope these 10 months of work provide a vision of a strong and luxurious, yet simple and true antiquity; an antiquity where loneliness is noble and failure is human. It is the end of the Tang Dynasty and China is divided. The Crown Prince, Wu Luan, is deeply in love with the noblewoman Little Wan. However, his father, the Emperor, decides to marry Little Wan. 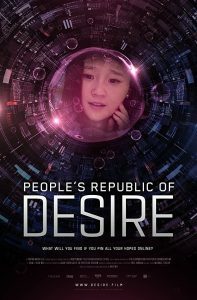 Wu Luan, deeply hurt, flees to a remote theatre to study the arts of music and dance. Shortly after Wu Luan’s departure, the Emperor is murdered by his brother, Li. The film begins as Empress Wan sends messengers to the theatre, informing Wu Luan that the Emperor has died, and that his uncle will succeed the throne. Unknown to Wan, the usurping Emperor Li has already dispatched riders to assassinate Wu Luan. However, Wu Luan survives the attack and returns to court where he is met by Empress Wan and her lady-in-waiting Qing Nu, the daughter of Minister Yin, who is officially still engaged to Wu Luan. The tension in the Imperial Court is high, and when a palace official, Governor Pei Hong, greets Empress Wan as ‘Empress Dowager’, he and his family are sentenced to a violent death. With his death, Minister Yin’s son, General Yin Sun, is sent to fill the position in a distant province, greatly weakening Yin Taichang’s position in the court. Wu Luan is asked by the Emperor to perform a brief swordplay ceremony, to practise for the Empress’ upcoming coronation. While sparring with harmless swords, the Imperial Guard suddenly produce sharpened swords and attempt to kill Wu Luan. The ceremony is stopped by the Empress, who implies that the Emperor was trying to murder Wu Luan in the ceremony and make it look like an accident. Later in his chambers, a scroll drops mysteriously from the upper balcony to Wu Luan, depicting his father being murdered by his uncle by blowing poison into his ear. Wu Luan enquires at an apothecary, who reveals that the poison used is made from Arsenic trioxide and black scorpions, and nothing on earth is more deadly except for “the human heart”. Meanwhile, the Empress Wan is to have a new coronation ceremony. As a special treat, Wu Luan is required to perform a swordplay ceremony. Instead, as an accomplished singer and dancer, Wu Luan stages a masked mime play that exposes his uncle as his father’s murderer. The Emperor is notably shaken, but manages to conjure a plan to remove Wu Luan. Rather than kill the prince and risk alienating Empress Wan, he decides Wu Luan would be traded as a hostage for the prince of a neighbouring kingdom, the Khitans, although it is known that the neighbour prince is an imposter. An ambush by the emperor’s men is set up the snowy border with the Khitans’ kingdom in the north, but the Yin Taichang’s son Yin Sun, following the Empress’s command, saves the prince. Believing that his nephew is dead, and power is firmly in his grip, the Emperor calls for a grand banquet. The Empress comments that it would be bad luck to organise such an auspicious occasion on their 100th day of knowing each other, but the Emperor claims he does not surrender to superstitions. The Empress then decides to poison the Emperor, using the same poison that was used to kill the previous Emperor. All goes according to plan until Qing Nu takes to the stage, claiming to have planned another performance for the occasion, and in tribute to her fiancé, she wears her theatre mask. The scheme to poison the emperor fails as the cup he was to drink out of is instead given to Qing Nu out of respect and partly of pity for her. Upon the climax of the dance, Qing Nu falls down dead on stage, and Wu Luan reveals himself to comfort her in her dying moments. The Emperor realises in horror that the Empress had plotted his death. After a confrontation with Wu Luan, the Emperor commits suicide by drinking the rest of the poisoned wine intended for him. Upon Emperor Li’s death, the Empress proclaims Wu Luan the new Emperor. However, Yin Sun, enraged by his sister’s death, attempts to kill the Empress to avenge his sister. His blade is stopped by the hand of Wu Luan, and he proclaims in fear that the knife is poisoned. The Empress stabs him through the neck, killing him instantly, but Wu Luan has fatally poisoned himself in the process. Empress Wan is proclaimed Empress Regnant by the Lord Chamberlain. 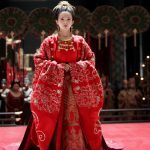 In the closing scenes, Empress Wan grasps bright red cloth and speaks of the “flames of desire” that she has satiated by taking the throne. Through her private celebrations, she is suddenly pierced by a flying blade from an unknown source. 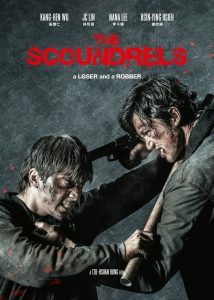 As she is dying, she turns around to face her assailant. Her confusion shifts to horror and anguish, as the blade is then dropped into a mossy koi bed, and the blood soaks the water. The film abruptly finishes, with the audience unsure who the mysterious assailant was. The ambiguity of the ending can produce many interpretations of who the assailant may be. 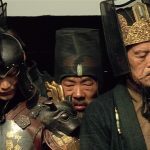 Asian film critic, Bey Logan, makes a claim that the film makers initially planned for the maid, Ling, to be the mysterious assailant, and the current version of the film still shows more shots of Ling than would be normally expected of such a minor non-speaking character. A popular interpretation is that it is a manifestation of the previous Emperor, exacting revenge and justice. 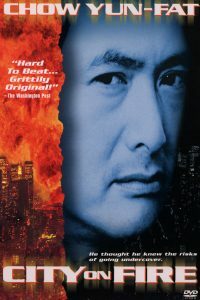 When paired with the film’s sung theme, the ending most likely references Louis Cha’s wuxia novella Sword of the Yue Maiden. In Sword of the Yue Maiden, the tale concludes with the beautiful female clutching her waist in pain with an expression “so beautiful that it will take away the soul of any man who looks upon her”, similar to Empress Wan’s final expression.